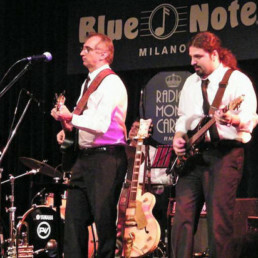 Lokomotion Band is a versatile, highly professional cover band with a boundless passion for music and its own unique style. 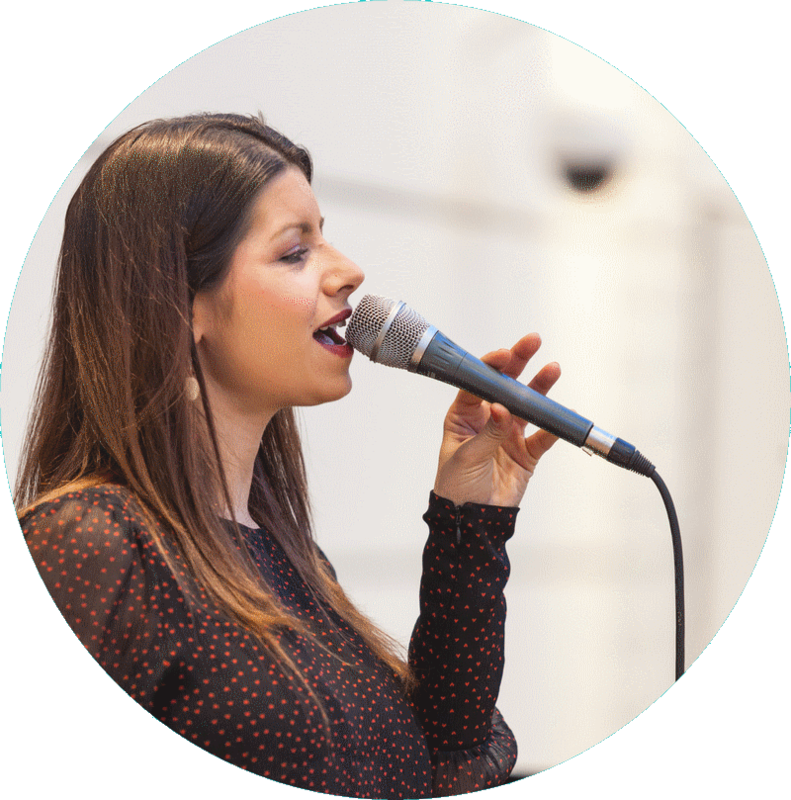 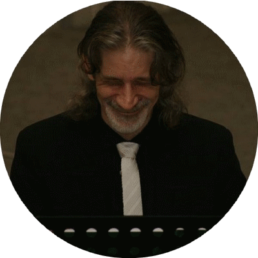 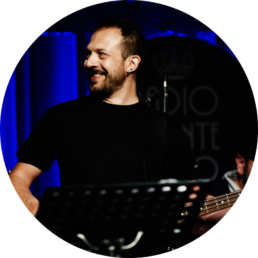 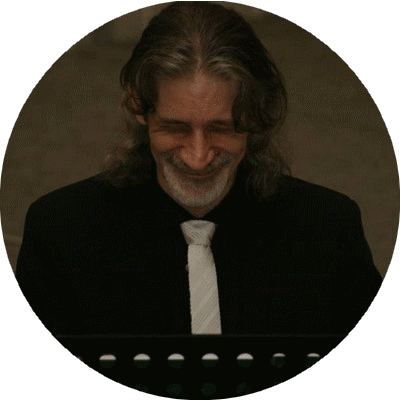 We have an extensive repertoire of pop and rock classics (both Italian and international), as well as jazz covers, spanning all eras from the 1960s to the present day. 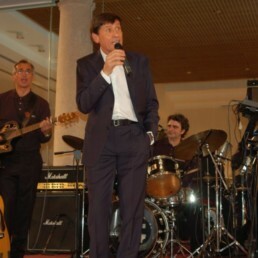 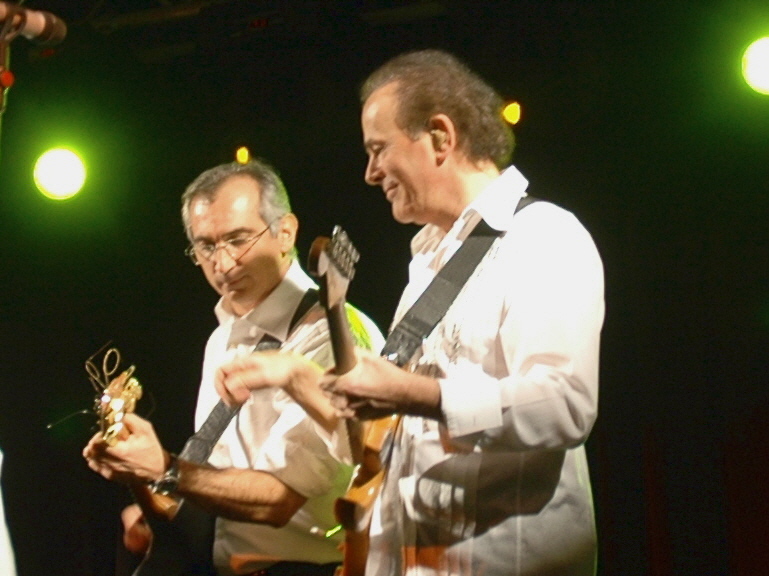 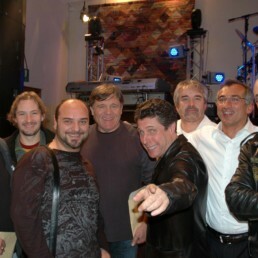 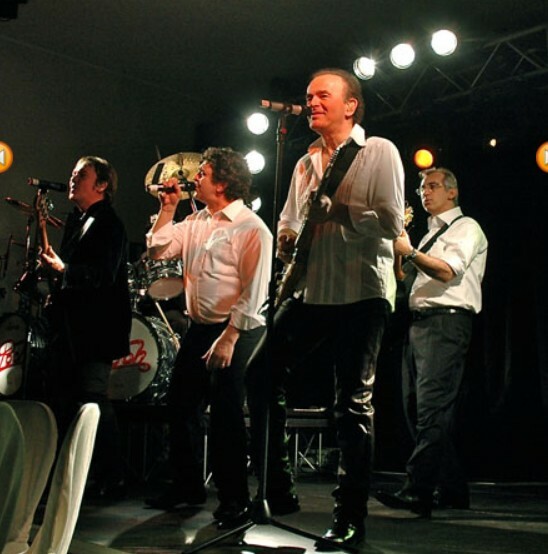 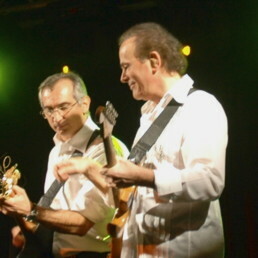 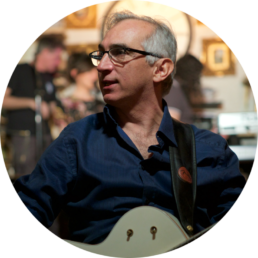 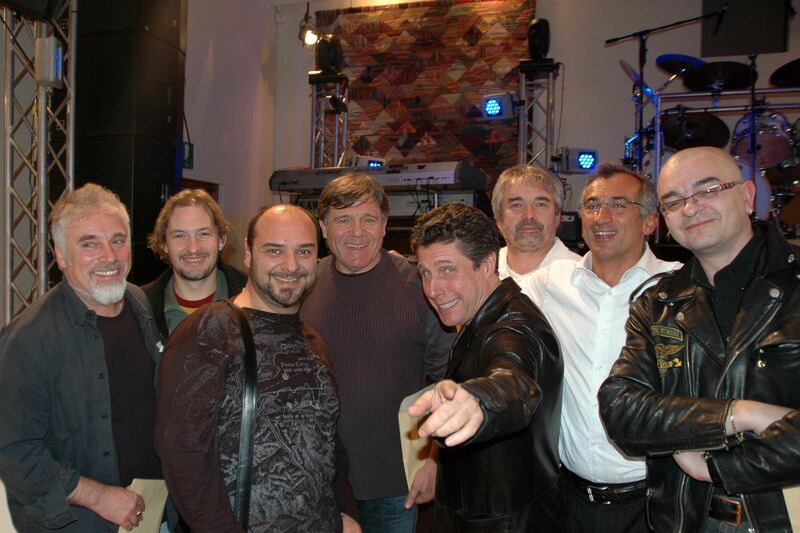 The band is in great demand for private parties and corporate events in Italy and abroad. 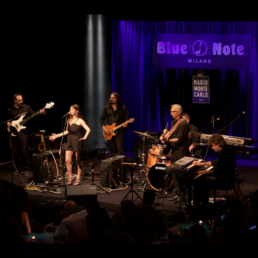 For over 20 years the Milan-based band has performed in our home town and all across northern Italy, as well as venturing further afield, to New York, London, Dublin and Ibiza. 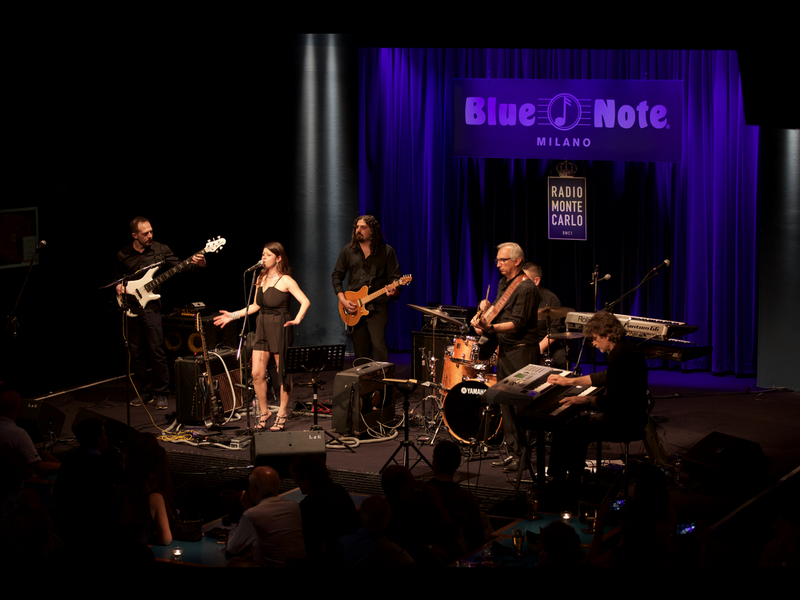 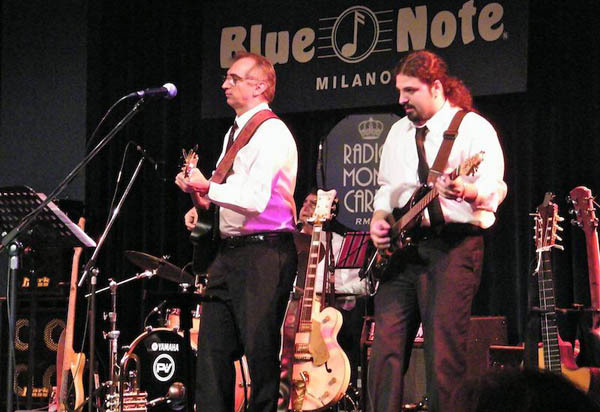 We have played at top Milan venues including: Blue Note, Richmond Cafè, Trattoria Arlati, Alcatraz, Old Fashion, Salumeria della Musica, Del Ponte, Rolling Stone, Memo Restaurant, Gimmy’s, Il Gattopardo, Puerto Alegre, Casablanca, Tocqueville, Cà Bianca, Galleria Meravigli, Il Borgo del Tempo Perso-Karma, and UBI Major … as well as some famous locations abroad, such as: New York’s Supper Club, the Mayfair Club in London, Phyllis Court Club at Henley-on-Thames, and in Oxford, Dublin, Ibiza and throughout Italy. 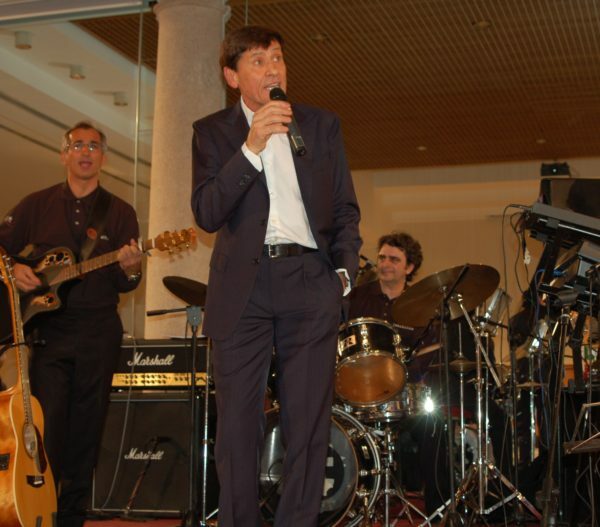 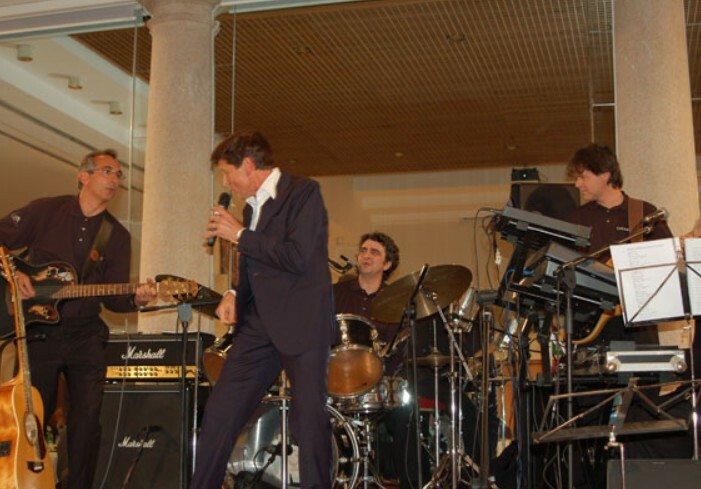 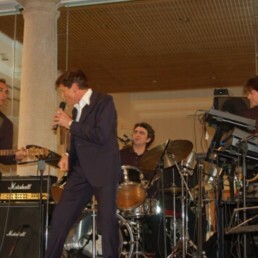 We have had the pleasure of playing with Italian legends like Gianni Morandi, Pooh, Fausto Leali and to open concerts as a supporting act for Nomadi and Alberto Radius/Formula 3. 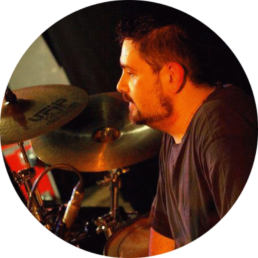 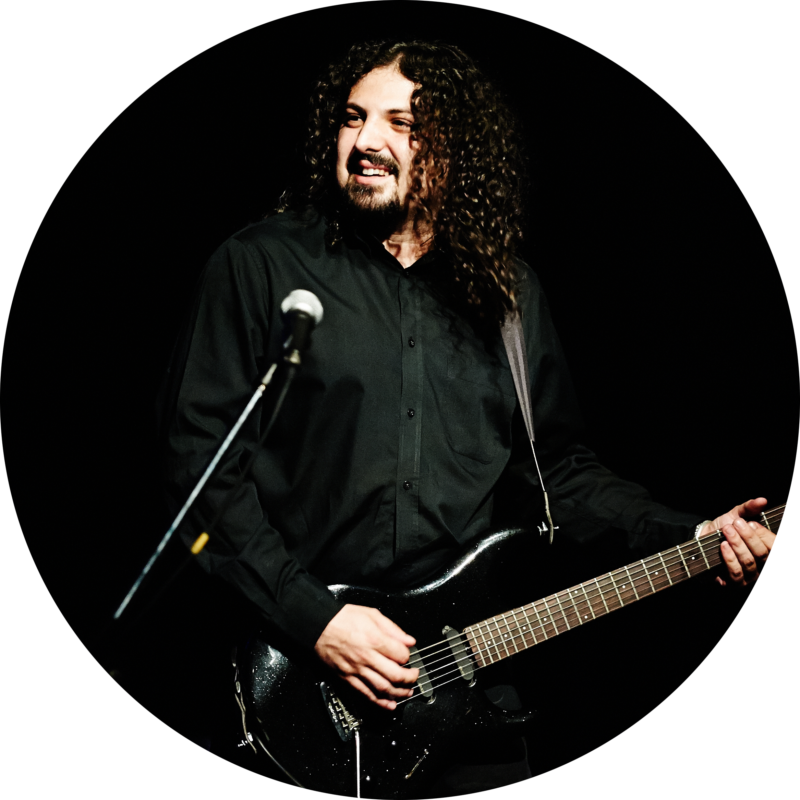 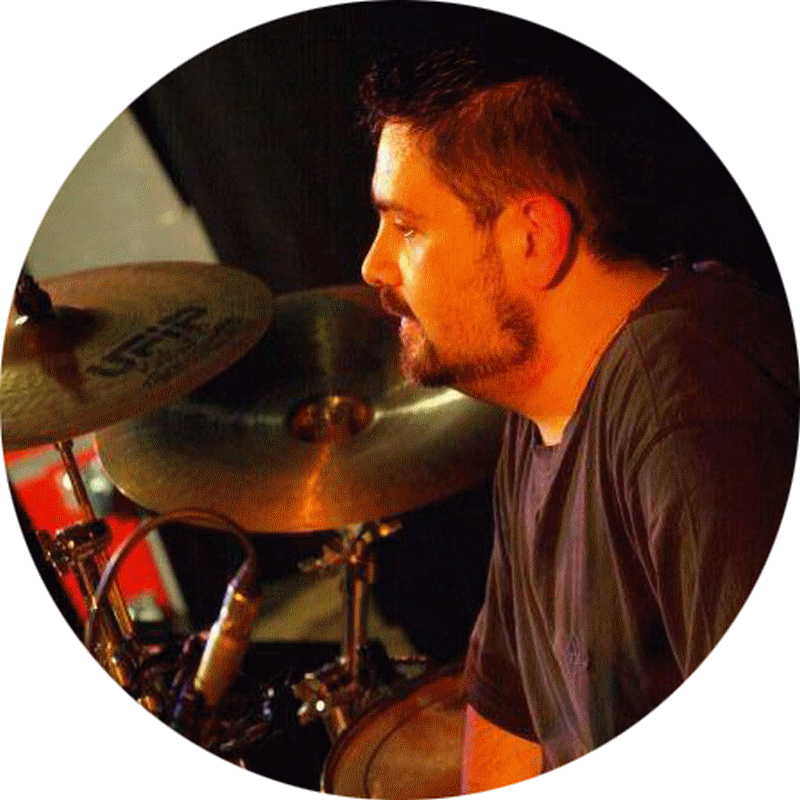 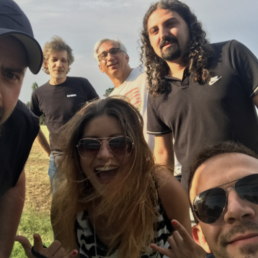 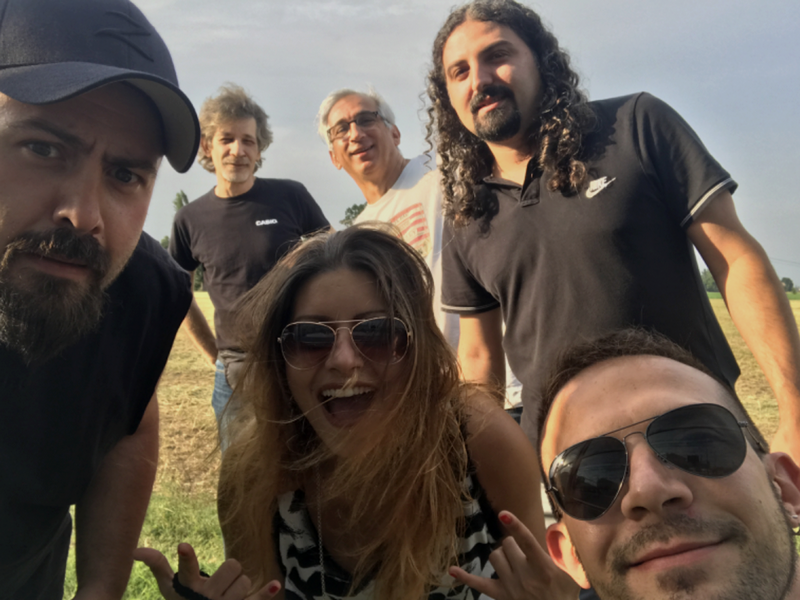 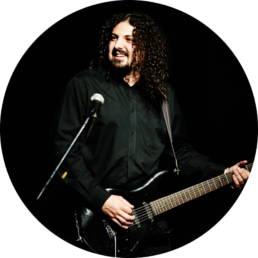 The traditional Lokomotion line-up, featuring frontman Viky Ferrara (vocals, drums) is currently committed to a variety of projects, including a major collaboration with Alberto Radius and his Formula 3.